Greek Prime Minister Alexis Tsipras hailed a 'No' vote in Sunday's referendum on a bailout offer and said his government was ready to return immediately to negotiations with creditors in a bid to get shuttered banks open again. 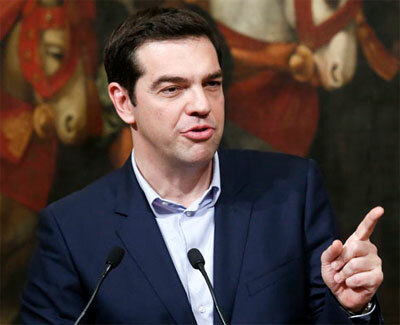 Dismissing talk that the referendum was effectively a vote on whether Greece stays in the euro, Tsipras said the mandate that Greeks had given him was to reach a viable solution rather than clash with Europe. "With the difficult circumstances prevailing today you made a very brave choice," Tsipras said in a televised address to Greeks. "I'm fully aware the mandate you gave me is not one of a rupture with Europe but a mandate to strengthen our negotiating position to seek a viable solution." Tsipras said he would ask the country's president to summon a meeting of political party leaders to brief them on the situation.